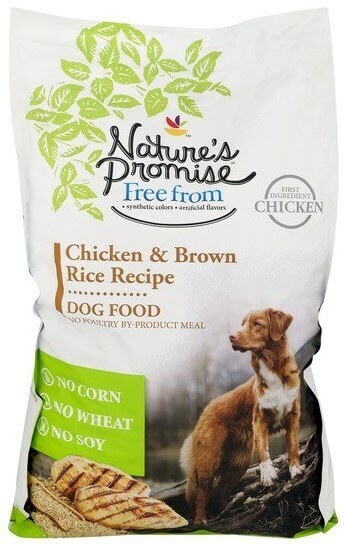 November 20, 2018 — Giant Food Stores and Martin’s Food Markets are voluntarily recalling certain lots of Nature’s Promise Dog Food because they may contain excessive amounts of Vitamin D, which may cause renal failure. No graphic was supplied with the official news wire. The following image was retrieved from the internet and is provided in good faith by The Dog Food Advisor. Giant/Martin’s has removed all affected product from its shelves and urges customers to return the product to their local store for a full refund. The companies have received no reports of illnesses to date. Customers should stop feeding the products listed above. Customers may contact Sunshine Mills, Inc. customer service at 800-705-2111 from 7 am to 4 pm Central Time, Monday through Friday. Or by email at [email protected] for additional information. In addition, customers may call Giant/Martin’s Customer Support Center at 888-814-4268.